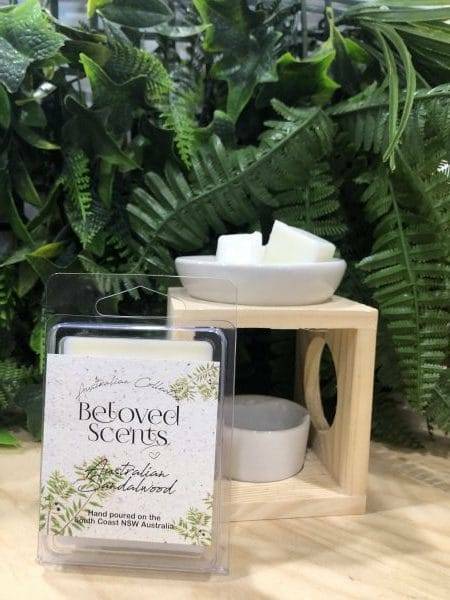 Kakadu Plum & Seaside Cucumber – Stunning fresh notes of fir needle with a twist of orange and the natural, herbaceous scent of leafy green intertwines seamlessly with the comfort of vanilla, through to blood plum which further compliments this scent and culminates in the spicy allure of musk and fresh cucumber. Australian Sandalwood – A rich, woody blend with a true to life aroma. 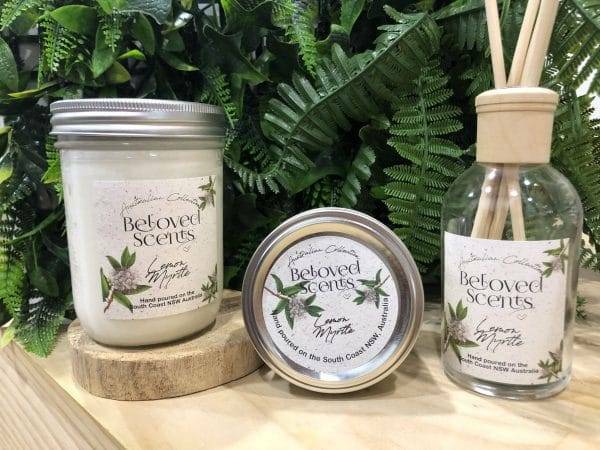 Australia has the largest natural resource of sandalwood (santalum spicatum) in the world and this fragrance replicates the smell that we all love. 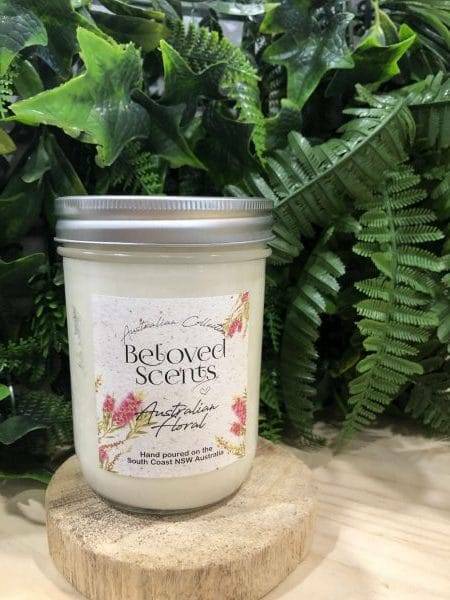 Australian Floral –This fragrance is a dense cluster of floral scents with a sweet rose and honey balsam combination. It also includes additional hints of cyclamen, star jasmine and an herbal orchid, green finish. 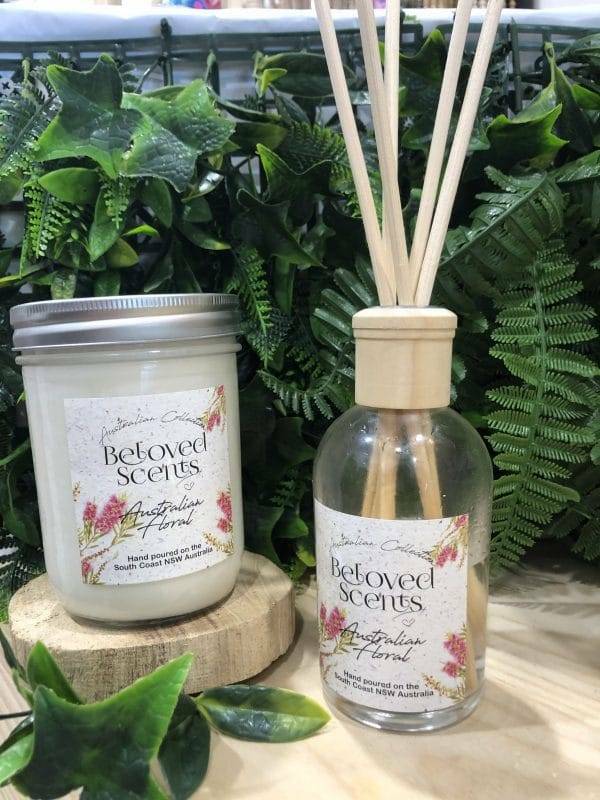 Lemon Myrtle – This beautiful fragrance oil is the energetic combination of zingy lemon and orange peel with vibrant eucalyptus, delicately composed with floral notes from the feminine scent of peonies. Fresh, green herbal notes perfectly combine with light citrus to create this unique Australian scent. Australian Bush – Go for a walk through the Australian outback with this authentic fragrance with notes of lemon, pine and eucalyptus. © Beloved Scents 2015 - 2019 All Rights Reserved.